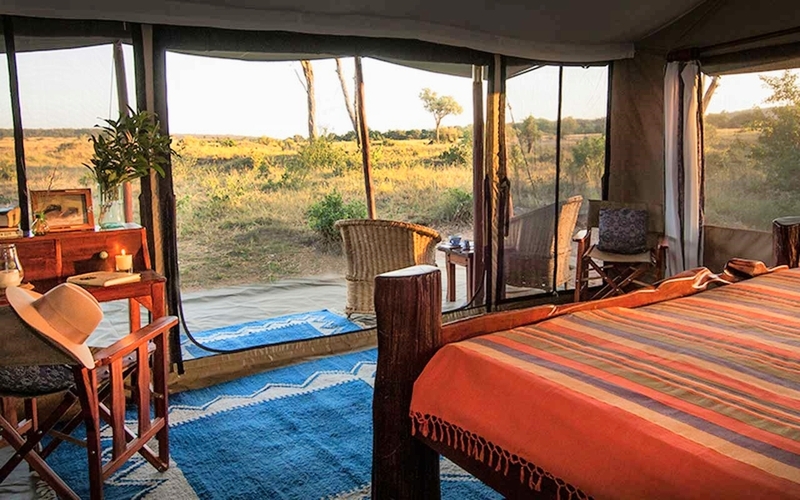 Offbeat Mara is a small, traditional safari camp, situated within the 74,000 acre Mara North Conservancy (MNC). The area is full of wildlife yet far from any other camp or lodge. MNC is only open to member camps and has a strict policy on game viewing etiquette. For these reasons our guests get a wholly exclusive experience that is otherwise becoming hard to find. WILDLIFE - exceptional year round game viewing with impressive big cat populations and the annual wildebeest migration from July - October. The Offbeat Lion Pride reside very near the camp. CULTURE - learn about the fascinating Maasai tribespeople and their traditional way of life. GUIDING - all our Masai guides have earned their silver rated Kenya Professional Safari Guide Association (KPSGA) qualifications. Offbeat Mara maintains its private homely feel by consisting of only seven tents. There are five doubles/twins and two family tents. The heart of the camp is the main 'mess' tent with its bar, dining area, sitting room, fireplace and forest deck. All the accommodation tents are en suite with flush loos and traditional hot safari showers. Each tent has its own veranda and is carefully positioned to offer wonderful views as well as privacy. For a detailed fact sheet on accommodation and facilities at Offbeat Mara, please CLICK HERE. This is why you come to the Mara! The wildlife in this area is extraordinary with huge numbers of plains game and with that, all the big cats. Certain prides of lion in our area have become world famous thanks to the Big Cat Diary, and our own local pride, known as the Offbeat Pride are almost part of the family! Our guides know every member of the pride and all the history that goes with them over the past 14 years. Game viewing is exceptional all year round, but from July to October you will also get to experience the annual wildebeest migration in its hundreds of thousands. The 'Secret Season' of January to March is often as rewarding, with clear skies, short grass and the Loita wildebeest migration coming to Mara North Conservancy. Jennifer Leboo, Kenyan born, is a Maasai woman who is determined to make a difference. Jennifer grew up watching her mother run a small cafe in her village and this sparked her interest in the hospitality industry. She decided that she wanted to pursue a carrier in tourism and thus her journey began. Jennifer is passionate, enthusiastic and enjoys meeting, as well as getting to know new people. When she is not working she is volunteering for her favourite community project; educating disadvantaged children in her neighbourhood. With over 6 years experience in Camp Management, combined with her strong passion and dedication for the Tourism and Hospitality industry, we warmly welcome her as an addition to the Offbeat team. We are very proud to have a super team of very experienced guides, who are all silver rated with the Kenya Professional Safari Guide Association (KPSGA). Joseph, David and Josphat have all worked at Offbeat Mara for more than 10 years. Stanley spent 10 years at Offbeat Meru Camp before moving to the Mara in 2016. As local Masai, they know the area better than anyone. David is also well traveled out of Kenya having visited England, Scotland, the USA and Hong Kong. Kapen and Kimiani have been spotting in the Mara for a combined 50 years and are real characters! Having them on board a game drive provides the best chance of seeing the big (and little) cats! 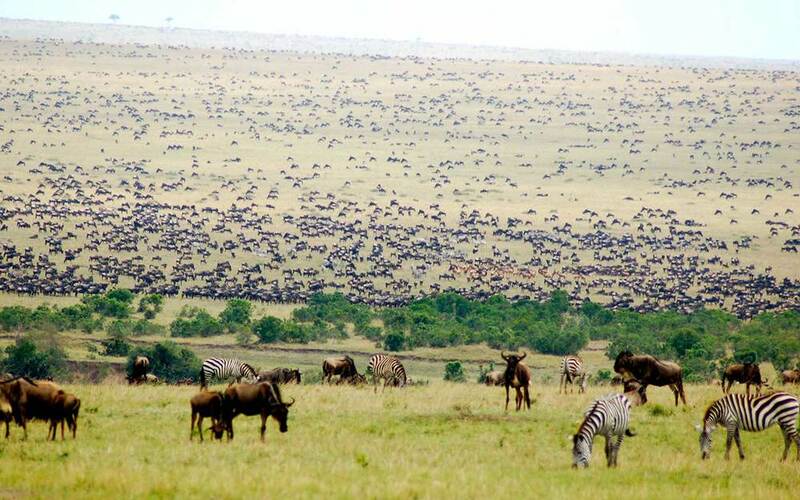 As one of the founding members of the Mara North Conservancy, Offbeat Mara is committed to helping preserve this 74,000 acre piece of the Masai Mara eco-system. For the first time, Masai landlords are being rewarded fairly and equally for protecting their land and the wildlife on it. As a result, this area has improved dramatically as a wildlife conservancy, with long term benefits to those with the foresight to keep protecting it. Over 90% of the camp staff are local Masai who helped build the camp in 2005. They now have jobs from guides to cooks, to room stewards and waiters...all gaining valuable skills to pass on to the next generation. And it is this younger generation that are the future of this area. For that reason we are key sponsors to the local Aitong Primary School that educates more than 950 children aged between 6-15 years. The school has expanded rapidly in the last few years, introducing a boarding facility to help those families who live too far away. Offbeat Mara is conscious that it operates in a fragile ecosystem. As such the camp has no permanent structures and is purely canvas with some local rock and soil to level the base for the tents. The ALL INCLUSIVE rates at Offbeat Mara are split into 3 seasons with a 50% discount for children. For any group booking of 4 OR MORE PEOPLE we offer EXCLUSIVE USE of vehicle.